Crisp cotton that's cool to the touch. Sound like a fantasy? 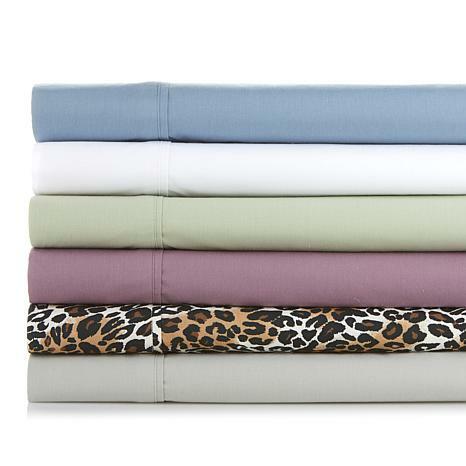 Make it reality with this sheet set. 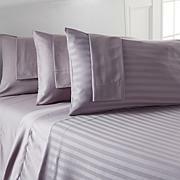 A simple, unadorned sheet set lets the beauty of the fabric speak for itself. Discover the joy of a crisp, cool cotton percale weave which makes slipping into bed every night an absolute dream come true. 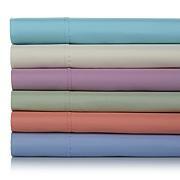 These were advertised as Percale which is why I bought them, But the package didn't specify Percale anywhere. They look and feel decent & fit my thick mattress well. 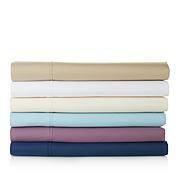 No complaints but they really don't feel like Percale to me. They washed nicely. Still on the hunt. 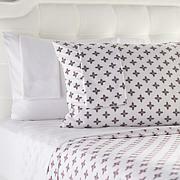 Nice sheet set just not too soft. I wanted a certain color so zi had to order these I will be glad when they get more leopard prints in. I am thank full to have these though. Disappointed in the quality. The sheets are not soft & the hem tore after only 1 washing & use. Will return.